The increased use of opioid analgesics in recent years, particularly oxycodone, has resulted in misuse and addiction issues associated with prescription opioids becoming more evident in New Zealand. Clinicians need to be aware of what these issues are, and how to identify and manage patients with inappropriate opioid use. All patients with non-malignant pain who have been taking opioids for longer than a few weeks should be reviewed, to consider whether treatment is still appropriate and how adequate controls can be ensured. There are a number of issues associated with the long-term use of opioid analgesics for the treatment of patients with chronic non-malignant pain, including an unproven efficacy for this use, adverse effects, tolerance, aberrant behaviour and addiction (see: “Definition of terms related to opioid misuse”). Patients initially start taking opioids to manage pain, but become increasingly reliant on the opioids, not only for pain relief, but also to manage emerging issues that overlap with addiction. Pain and addiction have inter-related symptoms and are often present at the same time. If one disorder is untreated, effective treatment of the other will not be possible. This adds to the complexity of managing patients with pain and addiction. It also further reinforces that opioids should be a treatment undertaken with considerable caution in patients with chronic non-malignant pain, and subject to careful and ongoing oversight. Although not the only opioid that is misused, the well-documented global experience with oxycodone demonstrates the problems that occur when large volumes of strong opioids are available in the community. 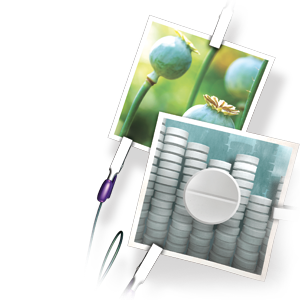 Canada has led the world in publicising the misuse and addiction problems associated with oxycodone. After controlled-release oxycodone (OxyContin) was approved by Health Canada in 1996, and added to the Ontario provincial drug formulary in 2000, it rapidly became widely prescribed and then misused, particularly in Ontario. It soon became evident that the controlled-release characteristics of this formulation of oxycodone could be overcome by chewing or crushing the tablet, therefore making it an attractive medicine to misuse. The problems experienced from 1996 – 2012 resulted in a number of changes to how oxycodone is supplied and prescribed in Canada. Despite the manufacturers replacing OxyContin with the “crush-deterrent” formulation OxyNeo in 2012, legislation was passed in Ontario to delist oxycodone from the province’s public drug benefit programme. This was a first for any province to delist a medicine based on addictive properties. The new law prohibits prescriptions for OxyNeo except to certain patients under an Exceptional Access Programme, which includes use for patients in palliative care and patients who have other extenuating circumstances. At this stage the strategy appears to be working. It has been reported in the media that a year after the change, the number of OxyNeo prescriptions in Ontario was approximately 60% lower than the number of OxyContin prescriptions in the year before it was replaced. A crush-deterrent tablet formulation of controlled-release oxycodone was released in Australia in April, 2014 and conventional OxyContin formulations were withdrawn, with the aim of reducing the misuse issues associated with oxycodone.8 It is too early to tell what impact these changes have had, but it is hoped that it will result in positive changes similar to those seen in Canada. Dependence: a state of physiological adaptation that can be unmasked by abrupt cessation, rapid dose reduction, decreasing blood levels of the opioid or administration of an opioid antagonist.1 The terms addiction and dependence are frequently used interchangeably, depending on the medical context. Pain specialists tend to refer to dependence to mean neuroadaption (tolerance and withdrawal) by itself; addiction specialists use the term dependence to mean neuroadaption plus behavioural change. In New Zealand the dispensing rate of oxycodone increased by 249% between 2007 and 2011, before slowing in 2012 – 13.9 The misuse problems seen in other countries are now starting to become apparent in New Zealand. Obtaining an accurate estimate of the rate of opioid dependence/addiction in New Zealand is difficult as there is limited data available. However, data from a number of sources show that the rate of opioid misuse in New Zealand is increasing. Anecdotally, addiction specialists across the country have raised concerns about the frequency at which oxycodone is found to be a factor, or the driving force, in new patient presentations. The results of a 2010 survey that was sent out to a random sample of 300 New Zealand general practitioners, revealed that 66% of respondents had diagnosed at least one patient with prescription drug misuse in the last year.12 Benzodiazepines and opioids were the most problematic medicine classes. Of the 111 general practitioners who had prescribed oxycodone in the preceding 12 months, 30% reported that they had at least one occasion where they had declined to prescribe oxycodone to a patient or had concerns about prescribing it due to issues of misuse.12 As was reported in BPJ 62 (Jul, 2014), 72% of prescriptions for oxycodone in New Zealand in 2013 were initiated in secondary care.9 This means that general practitioners frequently encounter patients discharged from hospital on oxycodone and face the challenge of negotiating withdrawal of oxycodone treatment. The increase in use and misuse of oxycodone and other strong opioids in New Zealand highlights two main points – firstly, that these medicines should be avoided in patients with chronic non-malignant pain, and secondly, that patients who are taking opioids long-term, with no plan for stopping or controls around dispensing should be re-assessed. The efficacy, tolerability and addictive potential of opioids make them a generally unsuitable treatment option for patients with chronic non-malignant pain. However, prescribing data shows that many patients in New Zealand are receiving strong opioids long term.9 Clinicians should re-assess opioid use in these patients, and consider whether their pain condition is being ideally managed. This involves first gaining an understanding of the patient’s experience of their pain, and the factors that may be contributing to their pain. Chronic non-malignant pain is best managed with a combination of non-pharmacological treatment interventions, e.g. cognitive behavioural therapy, exercise and lifestyle activities, and non-opioid pharmacological treatments. Even optimal pain treatment may need to allow for the continued experience of manageable pain. For further information on understanding pain and why opioids are not an appropriate treatment, see: “Helping patients cope with chronic non-malignant pain: it’s not about the opioids”, BPJ 63 (Sep, 2014). Although prevention is better than cure when it comes to opioid misuse and addiction, clinicians should be aware of appropriate treatment pathways when patients need to be withdrawn from opioids. This may be because the patient is showing signs of aberrant behaviour or addiction, or because long-term use of a strong opioid is no longer considered appropriate. Management of patients with addiction issues can be challenging and a decision needs to be made whether to attempt to withdraw the opioid in primary care or refer to a specialist pain or addiction service (see: “When to attempt opioid tapering in primary care”). Patients taking high doses of opioids for prolonged periods and patients with signs of aberrant behaviour are usually best referred to a specialist service. Other factors to consider are the patient’s level of motivation to withdraw from treatment, how amenable they are to dose reduction and the nature of their underlying pain condition, e.g. what other options are available to manage their pain? The decision to refer to specialist services will also be dependent on the general practitioner’s expertise in treating addiction. General practitioners should not be deterred from referring a patient to an addiction specialist (or seeking a second opinion), if they have an aggressive or negative response to withdrawing treatment. It can be explained to patients that opioids cannot continue to be prescribed to them without a review of their case by an addiction specialist, as there would be concern that further prescriptions would contravene the Misuse of Drugs Act. Linking the ongoing prescribing of opioids with the date of the specialist assessment will encourage attendance at the appointment. The two general approaches to managed withdrawal from opioids are abrupt cessation and gradual dose reduction. The preferred method depends primarily on the dose the patient has been taking and the duration of opioid use. Patients treated with lower doses of opioids (e.g. morphine 20 – 40 mg/day or oxycodone 10 – 20 mg/day) and for short periods of time (one to two weeks) can generally stop treatment abruptly without experiencing withdrawal symptoms.14 This is most likely to be patients discharged from hospital on opioids and patients with acute injuries who have received short-term opioid treatment. Some patients may prefer not to stop opioid treatment abruptly but to rapidly reduce their dose, e.g. by 25% of their total daily dose per week (this is termed rapid tapering).15 This approach may also be suitable for patients who have been taking lower doses of an opioid for longer periods of time, e.g. one to two months, who are highly motivated to discontinue the opioid. Patients who have been receiving higher doses of opioids or long-term opioid treatment are likely to require gradual tapering of the opioid dose. The rate of reduction of the opioid dose depends on a number of factors. These include the length of time the patient has been taking the opioid, their total daily dose, the underlying condition being treated, co-morbidities, e.g. depression and other psychological conditions, and upcoming important events. 1. Patients who can be managed in primary care – no personal or family history of substance use disorder and no major or untreated psychiatric disorders. *Specialist support may be formal, i.e. the patient is co-managed in a pain/addiction clinic, or the patient can be referred for reassessment as required. Tapering regimens for opioids vary. Discussion with a pain or addiction service is recommended before beginning a taper, particularly if patients are taking high doses of an opioid. Have a written clinician/patient treatment agreement that clearly defines the aims and method of opioid tapering. Make sure the patient understands all the conditions documented in the agreement. Recognise that frequent and supportive review will be required. Continuity of care is important and where possible a single clinician should conduct follow up and prescriptions should be collected from the same pharmacy. Formal counselling may not be necessary, but regular contact to “keep the faith” is valuable. Have a stabilisation phase of two to four weeks to clarify the daily dose of opioid the patient is taking; this will require an honest and open discussion for the patient to reveal the actual extent of their opioid use – do not assume that the patient’s opioid requirements are what has been prescribed to them. Enquire about use of over-the-counter medicines which contain codeine and opioids from friends or family members. Consider a urine drug test and an examination for injection sites. N.B. Oxycodone, fentanyl, buprenorphine and tramadol are not included on a standard drug screen – list the medicine(s) you specifically wish to test for on the requesting form. Prescribe scheduled doses. Consolidate long- and short-acting regimens and “as required” use into a set twice-daily regimen. Prescribe frequent dispensing intervals, e.g. daily, alternate days or weekly, depending on what level of control the patient has over their opioid use; do not refill the prescription if the patient runs out and be especially cautious about claims of accidental losses. Addiction services often require that the patient has their opioid dispensed daily during this phase of treatment, and lost or vomited doses are not usually replaced. Do not co-prescribe benzodiazepines – if the patient has been taking benzodiazepines, consider stopping these before withdrawing the opioid. N.B. Specialist advice for withdrawal of benzodiazepines may be required. Discourage use of alcohol and cannabis during the opioid withdrawal. The rate of taper can vary from a 10% reduction in the total daily dose every day, to a 10% reduction every one to two weeks. The decision on the rate of tapering should be jointly agreed between clinician and patient and can be varied, e.g. with larger dose reductions initially or a slowing of the rate of reduction due to an important upcoming event. As doses are recalculated, they may not be able to be easily made up using available medicine formulations therefore clinical judgement is required in selecting an appropriate dose. A reduction in the total daily dose can be equally divided into the two daily doses although this may only be practical in patients starting their taper from a higher starting dose of opioid. For patients on lower total daily doses, a suggested approach may be to start the taper by reducing the patients’ dose at the time of day when their pain is less. For example, in a patient taking 20 mg of oxycodone, twice daily (i.e. total daily dose of 40 mg), reduce the morning dose to 15 mg if this is when their pain is best controlled and leave the evening dose at 20 mg. Although this is slightly more than a 10% dose reduction (12.5%), it represents a practical “patient focused” solution given the available tablet sizes of oxycodone. Slower rates of taper, e.g. 5% dose reductions, may be more appropriate in some patients, e.g. those who have significant co-morbidities, are anxious about tapering or who may be psychologically dependent on opioid treatment. Once the patient has tapered to one-third of their original dose, the taper can be slowed to half or less of the previous rate. Be prepared to hold the dose when necessary, including when the patient experiences reduced function, severe withdrawal symptoms or has a significant worsening in mood or pain (referred to as the neuro-adaptation plateau). Reassure the patient that their symptoms will resolve as neuro-adapation occurs, and the reduction in opioid will then resume. Schedule frequent contact, e.g. weekly, during the tapering period. Be aware that the cost of consultations may be prohibitive for some patients. Face-to-face consultation is preferred, but contact by other means, e.g. phone call or text message, can be considered and is often well received by the patient. At each consultation ask the patient about withdrawal symptoms and their functional status (function rather than pain should be the focus) as well as any possible benefits they may be experiencing, e.g. improvements in energy levels, mood or alertness. A return of a more normal emotional range may initially be unsettling to the patient, but can also be very rewarding. Check for injection sites and consider requesting urinary drug testing to assess adherence. Be aware, and advise the patient, that the tapering period can take a variable length of time, e.g. from two weeks to four months. Be prepared to keep patients on low doses of opioids for an extended period if they are unable to complete the taper, as long as their mood and functioning improves and they are willing to follow the opioid withdrawal agreement. Avoid any dose increase, except for a brief return to a previously manageable dose – a “reducing” schedule that is actually oscillating up and down should be re-thought. Symptomatic management is important for successful opioid withdrawal, along with compassionate acknowledgement of what the patient is experiencing. The patient can be reassured that their discomfort is temporary and will resolve. The patient’s underlying levels of distress during the opioid withdrawal should be monitored and they can be referred for specialist addiction treatment if agitation or anxiety is severe. Involving family members to support the patient during their withdrawal is also recommended – as for any mental health condition, family support enhances the prognosis. Oral or transdermal clonidine (off-label use) for hot/cold sensations (not routinely required if the taper is gradual), however, be aware that clonidine has misuse potential also. Blood pressure monitoring is required after the first dose and for at least 72 hours or until a stable dose is achieved and then again after discontinuation. Reassess treatment after one week and taper to stop. A short-acting benzodiazepine or zopiclone should only be considered if the patient has insomnia that cannot be managed with non-pharmacological treatments (e.g. “sleep hygiene” and relaxation techniques) and the insomnia is compromising the success of the withdrawal. These medicines have significant misuse potential and should only be used for a short time. Quinine is no longer used to treat symptoms of withdrawal. During the opioid taper, patients are likely to report that their pain has increased as the opioid dose was decreased. An increase in pain when withdrawing opioids does not mean that the opioid was effective in providing pain relief, only that removing it makes the pain worse for a short period of time. When pain occurs, the rate of taper can be slowed and other pharmacological (e.g. paracetamol, NSAIDs) and non-pharmacological treatments (e.g. exercise, massage, cognitive behavioural therapy) added to maximise pain relief. Naltrexone may be considered for relapse prevention in people who have ceased opioid use. It is approved in New Zealand for this indication, but is only subsidised for the treatment of alcohol dependence. However, the evidence of effectiveness of naltrexone in maintaining opioid abstinence is low, as the majority of patients stop taking it, especially during risk periods. The risk of fatal overdose may then be increased as the patient relapses without any tolerance for opioids. If relapse occurs, or is very likely to occur, a period of opioid substitution (specifically with a long-acting opioid, i.e. methadone or buprenorphine) is the treatment best supported by the evidence. OST is the evidence-based treatment of choice in patients with opioid misuse and addiction problems who have not achieved opioid withdrawal or for whom tapering is an unsuitable withdrawal method, e.g. due to complex co-morbidities. Substitution with a long acting opioid, i.e. methadone or buprenorphine, allows the patient to move away from the reinforcing effects of shorter acting opioids. The “on-off’’ effects of opioids with shorter half-lives means that the expected return of pain (or associated opioid withdrawal symptoms) becomes a powerful disincentive to completing a successful taper. By law (the Misuse of Drugs Act 1975) OST can only be carried out by specialist services in New Zealand and some general practitioners that are trained and authorised by the specialist service to administer OST. The rationale behind opioid substitution stems from the fact that the majority of patients who have been dependent on opioids for a year or longer, will not be able to remain abstinent from opioids, even with optimal support. Methadone and buprenorphine are used as opioid substitutes.18 These medicines both have gradual onsets of effect with longer durations of action than the opioids being misused, e.g. oxycodone and morphine, resulting in more stable serum levels. As a result of this, patients taking methadone or buprenorphine do not experience a “rush” or marked withdrawal symptoms, and have a reduced desire to use other opioids. For patients with pain, this longer action ameliorates the sudden onset and rapid wearing off of pain relief of shorter acting opioids and therefore improves pain cover. Methadone is the more commonly used substitute, as it is more effective in retaining patients in treatment, has been available for longer and is substantially cheaper than buprenorphine. Buprenorphine is a useful alternative choice, although its partial agonist action means that it may not achieve enough protection against relapse in all patients. In New Zealand, only the buprenorphine combined with naloxone (Suboxone) is funded, subject to Special Authority criteria. The naloxone does not act unless injected – its inclusion in Suboxone is to deter injection (although some drug users will do so anyway). Long-acting morphine and sustained relapse oxycodone preparation are not effective opioid substitutes. When patients first begin OST, the opioid substitute is dispensed daily as this becomes an external control that takes the place of the patient’s diminished internal control. This phase of treatment may last for three to six months. Dispensing restriction is then gradually relaxed to aid rehabilitation as the patient regains the confidence and ability not to use doses in advance or by injection. Patients usually require a minimum of two years of opioid substitution for it to be effective, reflecting how profoundly opioid dependence affects individuals. Any duration of treatment less than one year would be considered to represent an opioid detoxification, where the chance of relapse is high. For these reasons alone, prevention of opioid dependence by careful opioid prescribing is far more preferable than having to treat dependence. Using opioids for acute pain in patients who are, or have been, opioid dependent has risks and should be done with caution. If needed at all, opioids should only be prescribed for an acute, clearly defined condition in combination with regular review. The treatment plan should be agreed on with the patient and include regular follow up and a plan to rapidly taper and stop the opioid treatment. Course length will be between three and 14 days, depending on the condition treated. Dispensing safeguards need to be addressed. In patients with a significant risk of relapse or with an active opioid addiction discussion with specialist pain/addiction services is strongly recommended if pain relief is required, and as a courtesy if the patient is undergoing opioid substitution treatment. The decision of whether to refer a patient for OST will depend on a number of factors. OST is offered nationwide and there should not be significant waiting lists for treatment. Patients in rural areas can also access OST, although alternative dispensing procedures may have to be put in place (e.g. involving a district nurse) if the patient has to travel a significant distance to a pharmacy. Most general practitioners will not be involved in the day-to-day administration of OST, but there are a number of potential issues to be aware of when patients receiving OST present in general practice. Methadone is associated with a number of significant adverse effects. Patients have an increased risk of methadone overdose in the first two weeks of treatment.18 Titration to an effective dose of methadone can take two to six weeks, and during this time patients may resort to using alternative supplies, with the potential for fatal misjudgement of dose. Loss of consciousness through cardiorespiratory depression will require emergency treatment with injectable naloxone. Buprenorphine is not generally associated with overdose, unless the patient is opioid naïve (i.e. inappropriately in OST). Adverse effects include constipation, nausea, reduced sexual function and drowsiness. Not all patients receiving OST will be given “take away” doses. However, those that do should be educated on safe storage of their medicine. Even small doses of methadone in children can be life-threatening and deaths have been reported in adolescents who have inadvertently taken methadone when looking for an analgesic at home. Pharmacists should dispense all opioids in child-resistant packing whenever possible. Be aware that methadone and buprenorphine provide little, if any, analgesia for acute pain due to increased opioid tolerance or hyperalgesia. As a result, opioid analgesics are often less effective in managing acute pain in patients undergoing OST and these patients require higher doses more frequently than usual.18 If a patient has a need for acute pain relief for a clearly defined condition, discuss appropriate options with their OST provider. The partial agonist action and high opioid receptor affinity of buprenorphine creates particular challenges for using additional opioids for analgesia. Because stopping the buprenorphine can destabilise the opioid substitution control, prescribers are usually faced with providing sufficient short-acting opioids to achieve analgesia. Given that this may involve substantial doses, inpatient oversight is commonly required. The Alcohol & Drug Helpline (0800 787 797) and DHBs can advise on local availability of addiction support. Addiction support is also be available through non-government organisations, including the Salvation Army, CareNZ, 12-Step Programmes (e.g. Narcotics Anonymous, Alcohol Anonymous & Al-Anon) and Tranx. Thank you to Dr Jeremy McMinn, Consultant Psychiatrist and Addiction Specialist, Wellington for expert review of this article. National Opioid Use Guideline Group (NOUGG). Canadian guideline for safe and effective use of opioids for chronic non-cancer pain. 2010. Available from: www.nationalpaincentre.mcmaster.ca/opioid/documents.html (Accessed Sep, 2014). American Society of Addiction Medicine (ASAM). A definition of addiction. 2011.Available from: www.asam.org/research-treatment/definition-of-addiction (Accessed Sep, 2014). DuPen A, Shen D, Ersek M. Mechanisms of opioid-induced tolerance and hyperalgesia. Pain Manag Nurs 2007;8:113–21. Raffa RB, Pergolizzi JV Jr. Opioid-induced hyperalgesia: is it clinically relevant for the treatment of pain patients? Pain Manag Nurs 2013;14:e67–83. Fischer B, Jones W, Urbanoski K, et al. Correlations between prescription opioid analgesic dispensing levels and related mortality and morbidity in Ontario, Canada, 2005-2011. Drug Alcohol Rev 2014;33:19–26. Kiepek N, Hancock L, Toppozini D, et al. Facilitating medical withdrawal from opiates in rural Ontario. Rural Remote Health 2012;12:2193. Roxburgh A, Bruno R, Larance B, et al. Prescription of opioid analgesics and related harms in Australia. Med J Aust 2011;195:280–4. NPS MedicineWise. Opioid abuse: will tamper-proof oxycodone help? 2014. Available from: www.nps.org.au/publications/health-professional/health-news-evidence/2014/tamper-proof-oxycodone (Accessed Sep, 2014). The Global Drug Survey 2014 findings. Available from: www.globaldrugsurvey.com/facts-figures/the-global-drug-survey-2014-findings/ (Accessed Sep, 2014). Adamson SJ, Deering DEA, Sellman JD, et al. An estimation of the prevalence of opioid dependence in New Zealand. Int J Drug Policy 2012;23:87–9. Sheridan J, Jones S, Aspden T. Prescription drug misuse: quantifying the experiences of New Zealand GPs. J Prim Health Care 2012;4:106–12. Wilkins C, Jawalkar P, Parker K. Recent trends in illegal drug use in New Zealand, 2006-2012: findings from the 2006, 2007, 2008, 2009, 2010, 2011 and 2012 Illicit Drug Monitoring System (IDMS). 2013.Available from: www.whariki.ac.nz/massey/learning/departments/centres-research/shore/projects/illicit-drug-monitoring-system.cfm (Accessed Sep, 2014). Gordon D, Dahl J. Opioid withdrawal, #95, 2nd edition. J Palliat Med 2011;14:965–6. Berland D, Rodgers P. Rational use of opioids for management of chronic nonterminal pain. Am Fam Physician 2012;86:252–8. Gourlay DL, Heit HA, Almahrezi A. Universal precautions in pain medicine: a rational approach to the treatment of chronic pain. Pain Med Malden Mass 2005;6:107–12. Regier L. Opioid tapering template. 2014. Available from: www.rxfiles.ca/rxfiles/uploads/documents/Opioid-Taper-Template.pdf (Accessed Sep, 2014). Ministry of Health (MOH). New Zealand practice guidelines for opioid substitution treatment. MOH, 2014. Available from: www.health.govt.nz (Accessed Sep, 2014). Roberts LJ. Managing acute pain in patients with an opioid abuse or dependence disorder. Austr Prescr 2008;133–5. Medsafe. Drug-induced QT prolongation and Torsades de Pointes - the facts. Prescr Update 2010;31:27–9.